Annually celebrated on November 11th in America, this U.S. Federal Holiday was started to honor men and women that have served loyally in the armed forces of the country. While originally celebrated as Armistice Day, the Holiday transformed into Veterans Day in 1954 to recognize the contribution of the armed forces. Veterans Day parades are held throughout the country to commemorate the United States Armed Forces. In New Hampshire, the State Veterans Cemetery and the Department of New Hampshire Veterans of Foreign Wars are hosting a Veterans Day Ceremony from 11 am on November 11th (Wednesday) at the NH State Veterans Cemetery. The ceremony is expected to last for approximately an hour. The Manchester Veterans Day Parade starts at Elm Street in Manchester and ends at Veterans Park on Elm Street. Interested war veterans can get in touch with Parade Chairman, Ron Boisvert for participation. On November 11th, the Manchester VA Medical Center will observe Veterans Day with a moment of silence at 11 am. The center will also host a Manchester VA Medical Center Veterans Day Program in the Granite State Room at 2 pm. The invitation is open to everyone and the program will be followed by a social. The program includes a color guard, a Pledge of Allegiance from the Community Living Center Residents, an acoustical prelude and a special wreath presentation to the Community Living Center veterans. The festive celebration will include visits from Ms. New Hampshire and Elvis Presley. If any person wants to get in touch with the team for their Veterans Day Celebrations, they can send an email to Kristin.Pressly@va.gov. Budweiser Brewery Tours is honoring veterans and their families by offering free Day Fresh and Beermaster tours. Veterans with their military IDs can avail of discounts. Veterans interested in this offer can call on 603-595-1202 to make their reservations for these tours. A Veterans Day Breakfast is being hosted at Colebrook at the Monadnock Congregational Church to celebrate and honor veterans who have sacrificed everything for the sake of their country. Call 603-237-8939 for more details about this free breakfast. War veterans without family or caretakers may be interested in the New Hampshire Veterans Home. This home has been set up with the goal of providing professional, long-term and high-quality care to disabled and elderly veterans with utmost respect and compassion for their suffering. Established in 1890, this veterans home has been a health resource for the armed forces for over a century, providing comfort and care to thousands of people who have sacrificed themselves for their country. Veterans Count has been set up to provide timely and critical financial services and assistance to veterans when they don’t have any other resources at their disposal, so they can live a dignified, healthy and happy lifestyle. The organization also provides employment counselling, deployment support, substance abuse services, mental health support, and emergency financial assistance to veterans in need. Veterans in need of help can contact the Veterans Count team by filling in the form on the Contact page. Veterans in New Hampshire will be able to attend various parades organized in the area. For any emergency assistance, please refer to the helpful resources provided. The Attorneys at Tenn And Tenn, P.A. 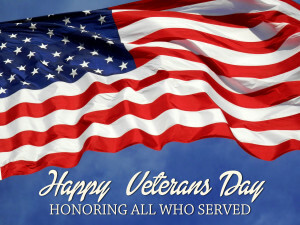 salute our Veterans and those currently serving.